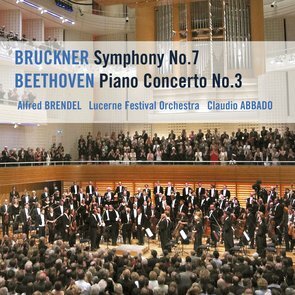 Competently as usual and with a lot of visinary energy, Claudio Abbado conducted his LUCERNE FESTIVAL ORCHESTRA at the opening of LUCERNE FESTIVAL, SOMMER 2005. The programm included Beethoven's impressive Piano Concerto No. 3 in C minor, Op. 37, with Alfred Brendel as soloist and, as the very heart of the opening programme of SOMMER 2005, Anton Bruckner's Symphony No. 7.